Been travelling in the islands lately and had a short stay in St. Kitts. Visited the underwater beauty that the island has to offer and was highly impressed with the visability and the fish population on the reefs. I had excellent service from St. Kitts Scuba. Charles (Charles_99@yahoo.com) - 12 February 2000. Been traveling to St. Kitts for the last 15 years, and always have a good time. Diving with Ken's Dive on St. Kitts. is always great. Ken Traub (ketraub@ibm.com) - 12 Mar 1996. My husband and I were in St. Kitts last year and we loved it. The scuba diving was excellent, the water was exceptionally clean. We also REALLY enjoyed the climate. It was the most comfortable island we have been on. We hope to return again in '97. Chris Felix (chris@indy500.central.sun.com) - 13 Mar 1996. We have been to many places in the Caribbean and St. Kitts has become our second home. A laid back island with plenty to do. We hope it stays low-key and relatively undiscovered. We always visit The Patio Restaurant for wonderful food and ambiance. Peter is the owner and host. A one of a kind personality. Another favorite is the Blue Horizon for great sunset dinners. The Fisherman's Wharf is terrific for casual dining and Friday night steel pan music is great at the OTI (Ocean Terrace Inn). Elaine Wachtel (ewachtel@internet-95.com) - 17 Jan 1996. My husband and I just returned from a two-week stay at Timothy Beach Resort in St. Kitts (Jan. 10-24, 2000)- what a great time we had on this lovely island. We appreciated St. Kitts rugged, natural, lush, green topography, the stunning hillside duo ocean views and feeding the monkeys. People are friendly, weather was great, snorkelling was fair. We'd made the best choice by staying at Timothy Beach - run by a very courteous, accommodating staff, comfortable rooms (we prefer kitchen studios), well situated on the Caribbean beach for sunsets, plus mountain/Atlantic Ocean views. Had the pool to ourselves most days, beach was never over-crowded. The price was right! (pbarrett@city.toronto.on.ca) - 28 January 2000. Tony and I were married on the island of St. Kitts on Valentine's Day 1998. We were married at Ottley's Plantation. This place is like a storybook and our wedding day was unbelievable. We enjoyed Dom Perignon that night as well as a live Caribbean band. The Conch Fritters are to die for as is all their food. This place is out of this world. You will shed a tear to two, three, etc. upon leaving paradise. We will return. This is the number one wedding or honeymoon destination. Bobbie and Tony Lison Bobbie & Tony Lison (TravelMon@Compuserve.com) on 9 May 1999. I have visited Nevis on two occasions for the business of installing pipe organs in local churches. On both visits I stayed at the Golden Rock Estate. Owner Pam Berry, was a most gracious host. From the Golden Rock you can see the local monkeys in the trees, the top of Mt. Nevis and a fantastic view of the Atlantic ocean. I have traveled to many places but have found none where the people and the scenery were as wonderful as in Nevis. If you are looking for a beautiful place to relax and enjoy the best that nature has to offer Nevis is the place. There is not a lot of 'night life' on the island but there is plenty of good food and hospitality. Larry Pruett (pruce@redrose.net) - 08 Jan 1996. I visited St. Kitts and Nevis in May of 1995. I was on a military deployment with the 148th Minnesota Air National Guard. Our mission was the reconstruction of the Hard Times Community Center which was damaged during hurricane Hugo. Even though we slept on cots in our tent encampment our stay was still most enjoyable. The highlight of my trip was a one night stay at the Golden Rock Estate. I experienced first rate service and the most beautiful sunset imaginable. Other highlights were snorkeling, golf, and the beaches. Scott Schafer (schafer@badlands.nodak.edu) - 10 Jan 1996. My husband and I spent our honeymoon at OTI (Ocean Terrace Inn). It was the most relaxing, yet exciting trip I've ever taken. We both highly recommend the catamaran trip to Nevis. Kim Schreck (kschreck@gate.ce.ohio-state.edu) - 11 Mar 1996. Last summer my wife and I stayed at the Fort Thomas Hotel for a week. It is very picturesque with a lot of history involved with this site of a modern hotel. The rooms are very comfortable and large. The price is quite reasonable. I found the staff friendly and cooperative. The hotel has a great swimming pool! I highly recommend it!!! So much so I'm returning for two weeks in only TWO weeks from now!!! John B. Springer (Springer@mail.accent.net) - 24 Dec 1995. The highlight of my 7-day cruise of the Caribbean was the 3-hour rainforest tour we took with Greg's Safari Tours. St. Kitts was absolutely the most gorgeous island of all of the ones we visited. Christine Badrian (cbadrian@air-ca.org) - 26 Dec 1995. My husband and I spent our honeymoon camping and bicycling around Nevis and St. Kitts two years ago. We plan on visiting again this year. Prudence Calabrese (specular@mindspring.com) - 30 Dec 1995. We went to St. Kitts and Nevis in Feb. 94. We had a great time. Some of the things we did included the volcano hike, the catamaran cruise, and lots of snorkeling. We found out that renting a moped was a great way to travel around St. Kitts. The island is small enough to circle in about 1.5 hrs. We spent half a day at Brimstone (Hill) Fortress, quite impressive. We stayed and snorkeled off Timothy Bay Beach. There is a ship wreck just to the left of the resort, you can't see it from the beach, but its there. We cycled the south end of the island and found a secluded beach and another close to shore wreck with tons of fish. The food and people were great. Arthur Ostaszewski (inetman@sojourn.com) - 09 Feb 1996. I've fallen in love with St. Kitts. On both of my visits to St. Kitts, and the Basseterre area in particular, I've found the atmosphere friendly, calm, and warm. Nevis is a wonderful island. The people are friendly, views beautiful and beaches fantastic. I've done alot of island hopping and Nevis has been one of the best spots I've discovered. I'm hooked! Nothing could beat the views! I was in St. Kitts & Nevis last year when Hurricane Marilyn was blowing around. The country is very lovely and parts of it are like what the rest of the Caribbean used to be like twenty or thirty years ago. I also went to Nevis. I am sorry that I couldn't spend more time. One place that I didn't get to see close up, but which I wish I could have, was the Cottle Church where Blacks and Whites worshipped together during slavery. We also zipped past a lot of other tiny churches that looked very interesting but which we didn't have time to look at closely. I am willing to come again any time. Andy Taitt (cweek@sunbeach.net) - 28 Jan 1996. My wife and I have had the pleasure during a visit to Nevis, to sample the great culture, food, and humor of this wonderful island. We plan to return. Kevin Tomkiel (ktomkiel@adl.com.ma.ultranet.com) - 11 Feb 1996. I have visited St. Kitts and Nevis for the past few summers. For me, the times I've spent there are the most memorable. Both my best friend and I have made many friends in which we have kept in touch. Because of this, we have come to consider St. Kitts as our home away from home. I couldn't think of a more beautiful place I'd rather be familiar with. Jennifer Harding (0303414@sacredheart.edu) - 23 Feb 1996. My visit to Nevis was certainly a very exciting and interesting experience. Nevis is one island that I will return to in the very near future. The people of this country should be very proud of their country. Everton Powell (epowell@wombat.eng.fsu.edu) - 24 Feb 1996. I am recently engaged and looking for a tropical place to be married. My married name will be Kitts therefore, my perfect wedding would be on St. Kitts. Can you tell me if it is possible to married on St. Kitts and have it recognized legally in the states? Also, are there any hotels or resorts that may specialize in this? I will be traveling to St. Kitts for golf with a party of ten and would appreciate a recommendation for a decent hotel on or near the 18 hole golf course. We are interested in visiting this area in January 1997. We snorkel, but do not dive. We enjoy quiet and prefer staying in smaller hotels or inns - what do you recommend? Thanks. Ted & LaVonne Arregui (larregui@ix.netcom.com) - 09 Jan 1996. What's the windsurfing like in St. Kitts and where are the best sites? William Phemister (wp@gov.nb.ca) - 31 Jan 1996. My wife and I along with another couple will be on St. Kitts for a week at the end of April, early May. We are avid scuba divers and golfers. We are staying at the Jack Tar Village. Any information that you can give us will be greatly appreciated. Robert Rettger (rrettger@realinfo.net) - 11 Feb 1996. 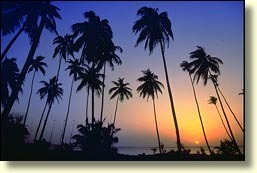 I am going to Nevis for my honeymoon at the end of May. I am staying at the Four Seasons and would like to know what other island attractions that are recommended. 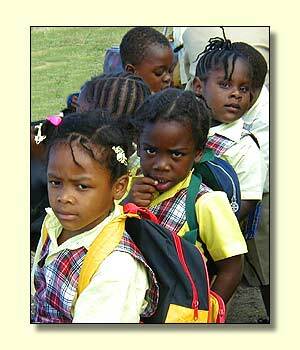 I would also like to visit St. Kitts for a day and want to know what is particularly interesting to visit. Thank you. Aimee (aimee@fit-net.com) - 20 Feb 1996. Would like feedback on the Four Seasons resort in Nevis. I hear that it is exquisite, but is the address relatively formal? I know that there are several restaurants on the property but for the casual one, is the dress really 'casual' or is it resort casual? What about shorts and T-shirts? Bengt Goransson (bgoransson@msn.com) - 24 Feb 1996.